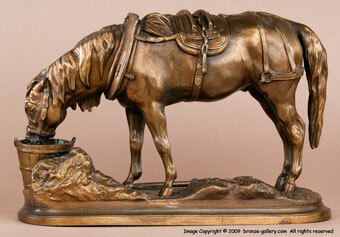 This Lenordez sculpture of a Welsh Mountain Pony is made from regule which is a zinc alloy used during the 1870s. 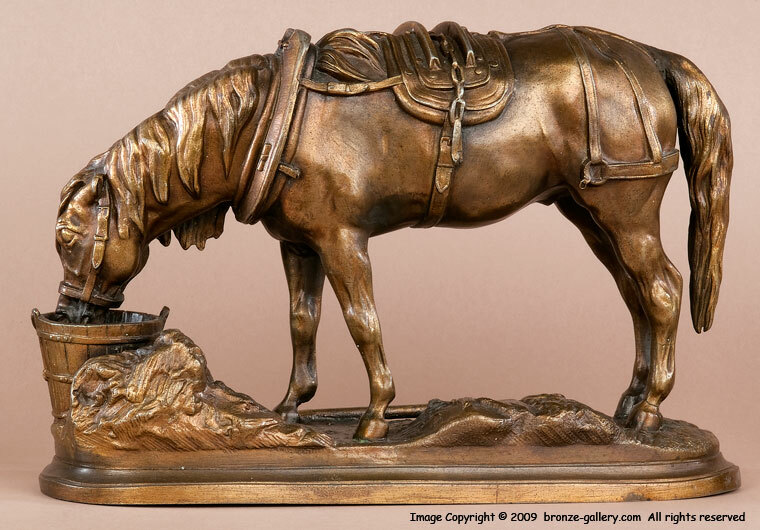 At that time, bronze metal was very expensive and hard to get due to the Franco Prussian war and many sculptors had their work cast in regule which is also known as white bronze. These casts are well detailed and finished, but they are quite rare today. The regule metal is softer and few have survived. The Welsh Pony is drinking from a bucket with his master's shovel near by and he is still wearing his harness and collar from the day's toil. He stands patiently waiting for his master to remove the harness and feed him after the work day. 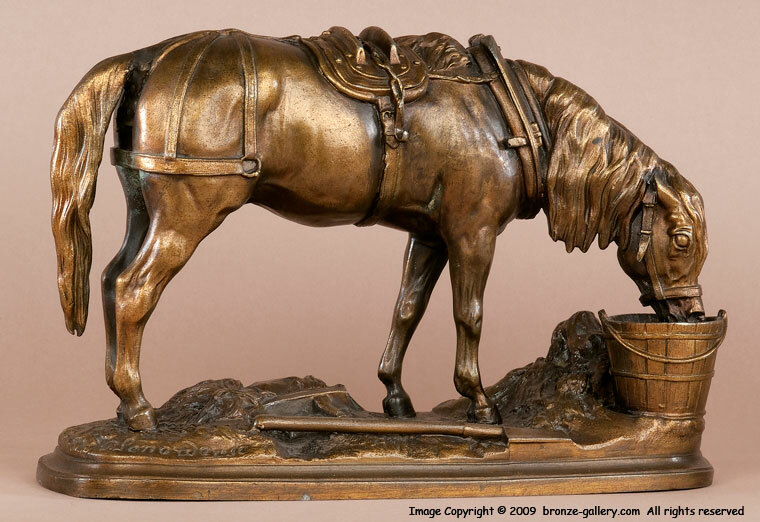 The lives of work horses were hard in the 19th century and this portrait of a regular working horse is a departure from Lenordez's usual Thoroughbreds and prize winners. A fine model, it has a warm brown patina.